This 22 page practical guide includes clear step by step explanations of how to develop a theory of change for an organisation or project, with worksheets, exercises and illustrative examples. 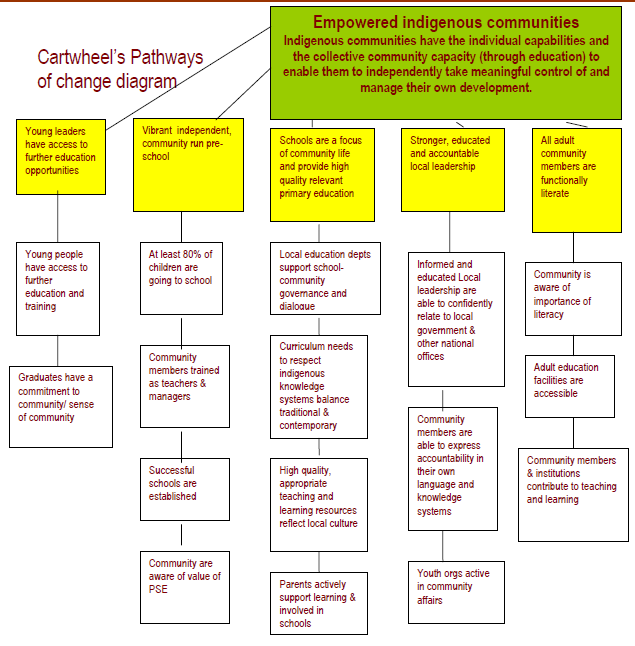 It also includes a concise description and rationale for developing a theory of change. Caption: An image from the guide exploring key outcomes identified as pre-conditions for project success. Credit: Keystone. More resources on Theory of Change can be found in the Mesh Theory of Change rescources category. To see how this resource fits in with the rest of Mesh's evaluation resources, and to learn how to navigate them, visit the Mesh evaluation page. This work is, unless otherwise stated, licensed under a Creative Commons Attribution 4.0 International License.